Bucktown to many is one of the trendiest neighborhoods on Chicago’s west side. Loaded with art galleries, nightlife, restaurants, and music venues, the Bucktown art scene, music scene, and foodie scene is without question one of the best in all of Chicago. As part of the larger Logan Square community, Bucktown runs from Fullerton to the north, Western to the west, North Avenue to the south, and the Kennedy Expressway to the east. Within these boundaries, the real estate options are certainly as diverse as the Bucktown culture, so for those looking to find the perfect Bucktown home or condo, something should be ready and available. But for those home buyers who have been looking around the Bucktown real estate market for a while now and can’t seem to find what they’re looking for, it’s important to not keep looking at the same old listings over and over again. 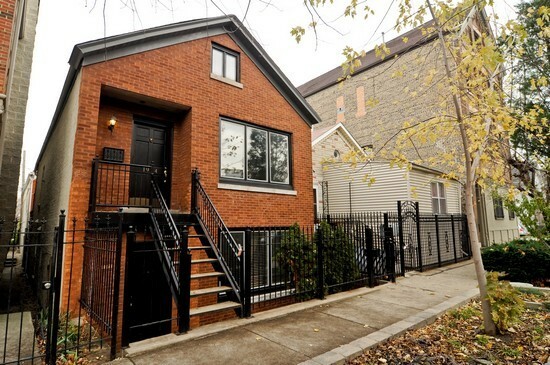 Being able to only search new Bucktown real estate listings in Chicago saves time and aggravation. That’s why on See Chicago Real Estate we created our new Bucktown real estate listings page, which only shows home buyers new listings to come onto the market over the last 2 weeks. So If you see something you like or would like to schedule a showing for a new Bucktown real estate listing, give us a call today at (312) 566-8141.